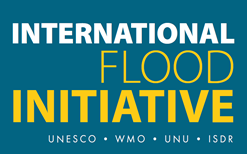 International Flood Initiative (IFI) is a joint initiative in collaboration with such international organizations as UNESCO-IHP, WMO, UNISDR, UNU, IAHS and IAHR. IFI made its official launch in January 2005 at the World Conference on Disaster Reduction (WCDR) in Kobe, Japan. To coordinate IFI activities, the IFI Secretariat is located in ICHARM, Tsukuba, Japan. The Initiative is based on the concept of integrated flood management and aims to ensure that an end-to-end process of flood management is put in place in a balanced manner, duly considering prevention and mitigation measures and the positive and negative impacts of floods. 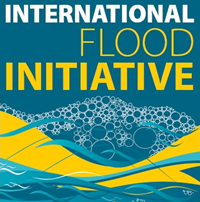 By applying the Integrated Flood Management approach that considers comprehensive risk management principles and approaches that aim at multi-hazard responses, IFI will foster the mobilization of resources and networks of the UN system, non-governmental organizations (NGOs), donor agencies, the insurance industry in order to assist communities and governments in developing culturally sensitive flood management strategies comprising of optimal structural and non-structural measures thereby targeting sustainable development. Integrated flood management (IFM) is a process that promotes a holistic risk-based approach to flood management. IFM is aimed at minimizing the human and economic losses from floods while at the same time maximizing the social, economic, and ecological benefits from floods and the use of flood plains. It integrates land and water resources development within a river basin, addresses institutional challenges, and recognizes the critical importance of stakeholder participation and cultural diversity. Read more on IFI Concept (PDF, 94KB).